Some of my favourite blogging ladies have been posting pictures of their sweet 2014 diaries over the last week or so and I was really tempted to invest in one from The Magic Notebook like the beautiful Michelle did, but in the end I opted to buy some new refills for my Paperchase Organiser. I like that I have the option to buy new pages as and when I need them with this because I always seem need more pages for notes, I'm a serial scribbler I think! 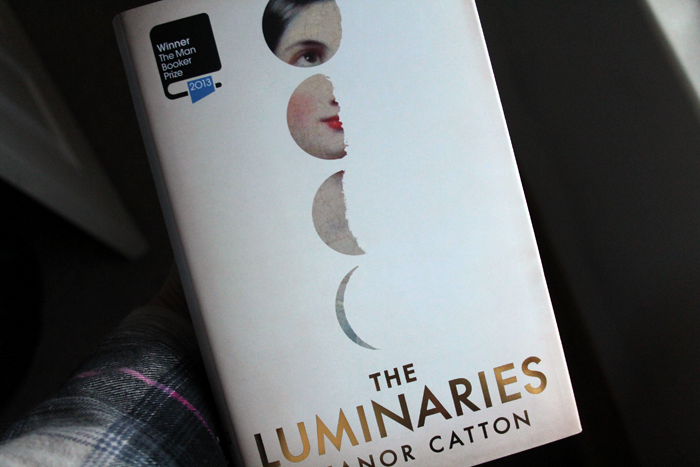 Usually Man Booker Prize winning books aren't my cup of tea, but The Luminaries is one that I'm intrigued by. It's an enormous book at over 800 pages and although I'm a little intimidated by it at the moment, I'm also excited to start reading! I think I'll have to save this one for the Easter holidays or whenever I have some spare time to dedicate to it but for now, I'm very happy to have this beautiful cover sitting on my shelf waiting for me! Out of the three scents that I bought for my new oil burner fireside treats is my absolute favourite. Sweet scents aren't usually ones that I go for because sometimes I think they can be a little over the top, but this one is really divine and I totally see why everyone who has tried it seems to love it so much! I know pretty much nothing about hair products and I usually stay away from anything like this for fear it will make my hair look oily. A few days ago I was going somewhere I needed to look vaguely presentable and not like I'd just been dragged through a hedge backwards. 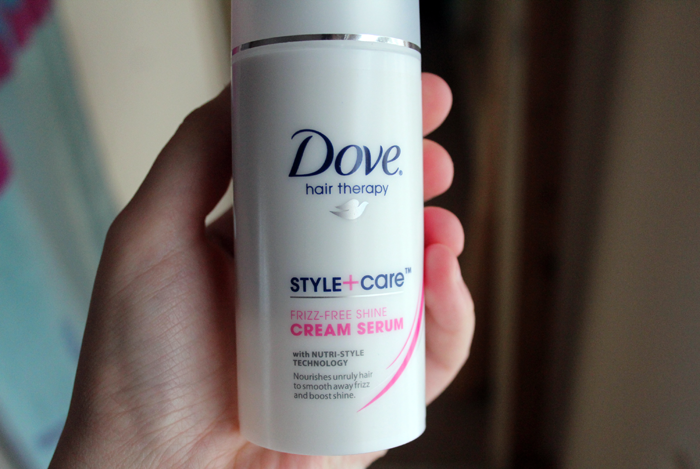 Unfortunately my hair wasn't cooperating so I took a risk and used a tiny bit of this Dove Cream Serum for the first time and oh my goodness, it's a miracle worker! It seems to be almost totally light weight and didn't make my hair look oily at all. + Nirvana by Sam Smith. I'd love if you left a link to your current favourite blog in the comments! I love the feeling of a book waiting for me. And the organizer is too cute. Ah, your diary is adorable!! I always go for my moleskin planner as it has tonnes of space on the page opposite the week for scribbles and lists!! And I am a girl who loves lists!!! Am really intruigued by the book too... looks like one that you put all of your attention too though and I just dont have the time for that at the moment!! ! p.s I got an email from Organic Surge yesterday saying that I won your giveaway :) Made my day! Thank you gorgeous lady! I'm still yet to jump on the Yankee Candle bandwagon - maybe i'll start with this scent! Off to check out some new blogs now, thanks for sharing! I love that part of New Year when you move everything from the old to the new diary. I love Sam Smith! He just won BBC Sound of 2014 this morning :). Also some great blog recommendations there. I love your organiser, it is so pretty. I'm feeling your pain, I have an entire PR strategy to write this weekend and I'm sick, so I can think of so many things I would rather be doing I have to say.. Sitting in my comfy bed now in my dressing gown attempting to start, but like you say, little by little! I need an organiser so badly!! Such a cute organizer and I love long books so I will look into it to read too. I saw those Paperchase ones when I last went into my local store, they are seriously gorgeous. I'm thinking of buying one for my Mom as she was with me at the time and really liked some of the A5 ones. I still need to buy an organiser, I am so unorganised haha. I still need to get myself an organiser for 2014. Looks like I'll be going straight onto the Paperchase website! That paper organiser looks amazing, love the happy colour scheme! I'm a fan of Yankee, never thought to try the wax tarts though. May have to give them a whirl. I love your diary, I am in love with patterned stationary, honestly, I can't pass a shop by with lovely cards in the window! I love the diary! :) Great picks and I'll definitely check out those blogs. Jennie I'm properly honored for the mention too, cheers for that. Over the moon you like the stuff I ramble on about, even if it's all a bit miss matched haha. I loved Michelle's post on her diary, it's a stunning little thing. 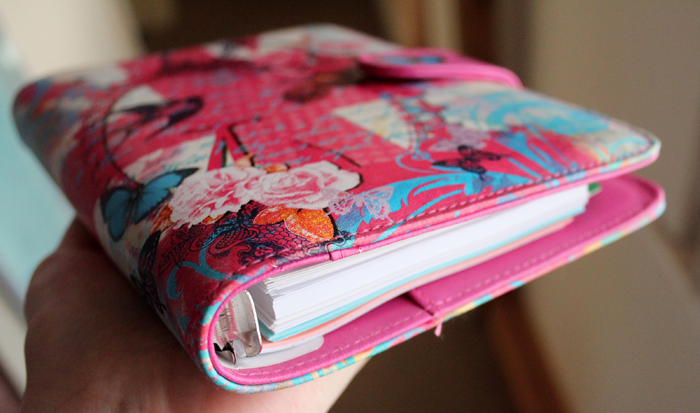 Great idea with the refills too, you've got a snazzy diary cover I must say and I'm a proper scribbler also! Dove are great with hair products, their conditioner is always a great and affordable buy - does the trick really well for dry ends! Sam Smith is just pure talent, thanks for letting me into this song. It'll be on repeat I'm sure, what a stunning voice. I'm really into John Newman and John Mayer at the moment too. I love the soul in their voices, it's pure heaven! Long live Yankee Candles. I have been known to burn them in the midst of the summer when the windows are open and it's frightfully hot! 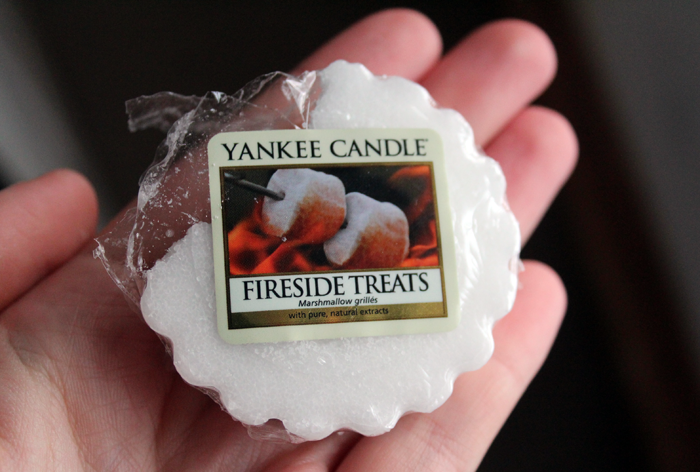 Fireside Treats sounds wonderful, I haven't tried it yet but now I'm very tempted! I loved Sam Smith's vocal in Disclosure's Latch so thank you so much for introducing me to Nirvana. What a gorgeous song. He has such an amazing and soulful voice! I always tried using paperback calendars or moleskine ones, but ended up using them as notebooks and not as a diary during the middle of the year. Your Paperchase organiser is gorgeous! Love the pattern. This weekend we've mainly been at a kids birthday party in what was surely the noisiest softplay centre ever. My head was banging after half an hour and we were there for over two hours! I am hoping that Sunday will be more serene. This is the sweetest post ever! It's so much more personal than a blogroll, I may have to rethink mine! What a lovely upbeat post! I'm glad I stumbled across this. It is a lovely organiser. I love organizers, they make me feel so accomplished and like my life is all put together even though it's not 90% of the time. I should give Yankee Candle a try sometime, though I should probably finish my current candle before purchasing a new one :P Thank you for mentioning my blog too! It's very exciting to me as silly as it sounds. Fireside treats sounds amazing! I have to try it :) I hope you're having a wonderful weekend! I'm so bummed that paperchase don't ship where I live. that organiser looks so nice. :) and I love the fireside treats too! That organizer is lovely, I'm such a sucker for a good bit of stationary!